While it’s easy to talk the talk, as they say, Wave Transit also feels a responsibility to walk the walk. Sure, buying hybrid buses and recycling are important but Wave Transit’s commitment to sustainability goes much deeper. That’s why our Breathe Easy initiative includes our facilities and building practices. 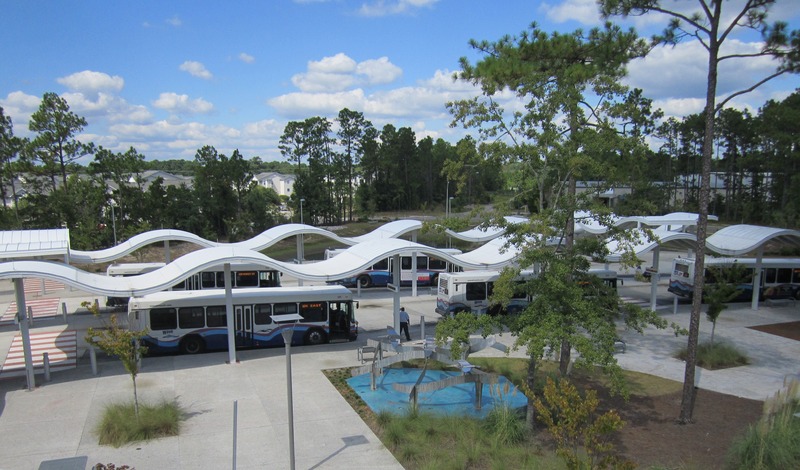 Our dramatic growth since the creation of Wave Transit in 2004, has necessitated three new Wave Transit buildings. These include Forden Station, an Operations and Maintenance Center, and the Wilmington Multimodal Transportation Center. Forden Station was completed in 2011 and was built to the U.S. Green Building Council’s Leadership in Energy & Environmental Design (LEED) gold standard. It encompasses geothermal heating and air conditioning, a green roof and pervious concrete as its main sustainable initiatives. LED lighting, motion light sensors, low VOC paints and other environmentally friendly initiatives have also been incorporated into the building. Engineers estimate that Forden Station is 45% – 50% more energy efficient than a traditionally built structure. 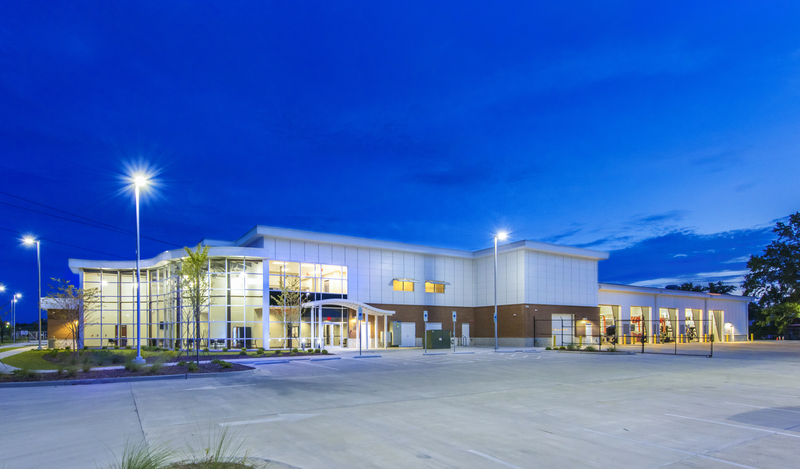 The Operations and Maintenance facility was completed in 2015 and built to meet LEED silver standards. It features geothermal heating and air conditioning, pervious concrete, LED lighting, motion light sensors, low VOC paints and other environmentally friendly initiatives. The Wilmington Multimodal Transfer Center (WMMTC), which is currently in the environmental analysis phase with expected completion in 2018, will be built to meet LEED silver standards. This project also includes an additional sustainability feature: the adaptive reuse of the historic Neuwirth building.